from the notification date. 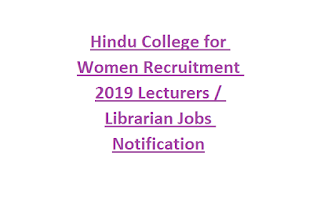 More Details can refer www.hinducollegeforwomen.com Official Website for Hindu College for Women Lecturers / Librarian Vacancies. Required details like Salary, Qualification, and Application Procedure are maintained below. Ending Date to apply: within 10 Days from the notification date. 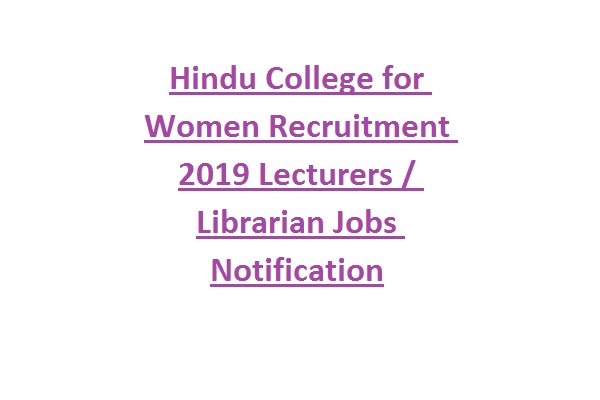 Interested and Eligible candidates can send the Bio-Data and all educational certificate copies with experience certificates to the college address or E-mail ID are given below. Last date within 10 Days from the notification date.